The start of my second year in charge would see me manage a very different looking squad to the one that finished 9th the previous year. Nine new additions would appear to unsettle the more established names at the club and this translated onto the pitch, going into the first international break without a win in the league and in the bottom three. I wasn’t worried just yet, but I was mindful of second season syndrome, in my first season I had performed above expectation and that more was expected of me and my young squad this year. The three games in the run-up to the break showed signs of Bolton playing some great free-flowing football, standouts being Ravel Morrison, Lorenzo Crisetig and Palitsevic. Two draws and a loss perhaps didn’t tell the whole story, but it was clear that the expulsion of Wanderer legends, replaced by young upstarts few had heard of was having an adverse effect. The situation improved slightly toward the end of September, the four games proceeding the international break would result in one win and two draws, what stood out was the style of play. 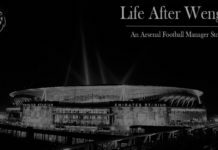 The Premier League is not a beauty pageant but if it were Arsenal surely would have won multiple titles by now in reality and my Bolton side surely should have been cruising at the top of the table. Unfortunately, beautiful football doesn’t always win you games, too often my side would carve sides up with quick and decisive moves, only to be undone by route one hoof ball. There were pros and cons to this, Elmander was the beneficiary of the great build-up play, scoring ten times in the first 12 games of the year. Traore and Rudenok too would bag a few goals with their cameo appearances, as they built up their tolerance to a faster, more competitive pace they’d not been used to back east. Winter came around all too quickly and our performances became more consistent, our style of play continued to produce goals and our defensive players started to deal with our opponents’ counter tactics better, a great marker for this was Smithies clean sheets record. Alex Smithies was developing into a great keeper, agile and quick off his line he acted more like a sweeper at times. Unfortunately, due to defensive frailties earlier in the season. Smithies was only able to keep four clean sheets in the first 19 games of the season, but as the defence got better, as did Smithies, he managed to keep a total of ten clean sheets in the remaining 19 games of that season. January brought about another opportunity to strengthen and with a net profit gained from the summer’s dealings, I had a large transfer kitty to work with, but really with no need to spend it. We had become very proficient at creating opportunities in attack and whilst we got off to a bad start defensively, the team of Smithies, Kelly, Cahill and Palitsevic were improving. It had become very clear though that I’d made an error in selling Alonso and not replacing him, a problem I solved with the acquisition of Christian Riberio from Bristol City. Disaster struck barely a week later as Gary Cahill tore a groin muscle in training, ruling him out for the rest season. Rather than shell out an obscene amount of money on a centre back I was unlikely to use next season, I did what any great manager does and asked his players for a recommendation. Martin Kelly recommended fellow Liverpool graduate Danny Wilson, a recommendation that ultimately would spell the end for Cahill’s career at Bolton. Not that I didn’t trust Kelly’s judgement or opinion, I opted to take Wilson on loan initially, thinking Cahill would be back before long and that it would be a dud signing, especially knowing I couldn’t offer the young lad first team football the following season. Infamous words in reality, that have been imitated in game. Like in reality, Bolton’s young stars would prove Alan wrong again. No, we didn’t go on a miraculous run to Premier League glory, blazing a trail for other dark horses to steal a march on England’s most prestigious league title. Instead, we had to settle for beating Exeter City, Wycombe Wanderers, Wolves and Burnley on the way to a nail-biting 1-0 victory over Tottenham in The League Cup Final. The game was a back and forth affair, with Spurs unlocking my patched-up defence several times, only to meet a formidable Alex Smithies. 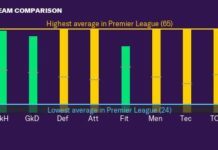 Bolton too showed proficiencies in beating Tottenham’s back line, Traore especially proving exceptional, only for us to fail with the final ball or get a shot on target. It remained a battle of wits right up to the 88th minute, when Traore again would dribble and beat three Spurs players before a killer pass found Rudenok in acres of space, with a veteran’s composure he dispatched a well-placed shot into the far lower corner of the goal, securing Bolton’s and my first trophy. The league campaign resulted in a memorable year for Bolton’s virtual fanbase too, although we started off nervy and the team took a while to gel, the second half of the season more than made up for it. Winning 14 of our last 19 games and losing only twice, Bolton finished 5th and secured Europa League Football. The kids did alright, Morrison, McCarthy, Sigurdsson and Cairney all cemented places within the team, supplying the creative flair to a previously one-dimensional Midfield, whilst Nordtveit and Crisetig provided a robust tackling element. Traore and Rudenok too both finished the season with double figures for goals, 10 and 13 respectively, whilst Elmander almost snatched the Golden Boot on the final day, falling just one goal short. More impressive was Palitsevic, his second year placed him amongst some of the best right backs in Europe, increasing his value 20-fold and finishing the year with an unprecedented 14 assists. With European Football on the horizon, it was clear we needed strength in depth and another wonderkid search would reveal exactly what Bolton needed, simultaneously completing the journey of filling a squad of 18 with wonderkids and kickstarting the most successful FM Save I’ve ever had. 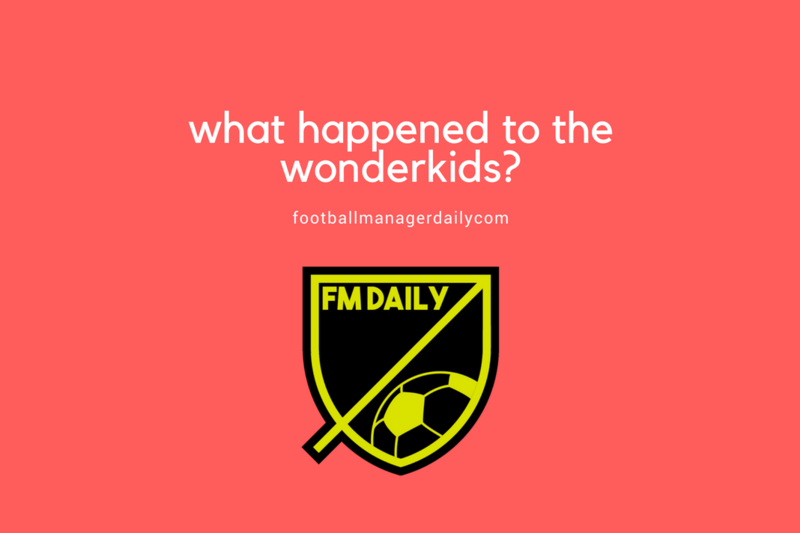 Join me again next time to read the continuation of this adventure and if you’ve got FM11 or any other editions I challenge you to do the same, build an 18-man squad of wonderkids and see where you finish up. Join me next week for the concluding part of this epic adventure. FM Addict since before it was Football Manager. I wrote books on the stories the game gave me when I was younger with the dream that someday someone might read them, so thank you. Follow me on Twitter.